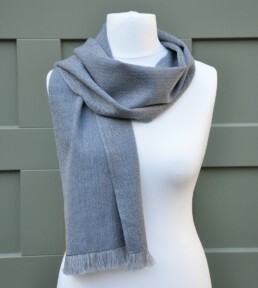 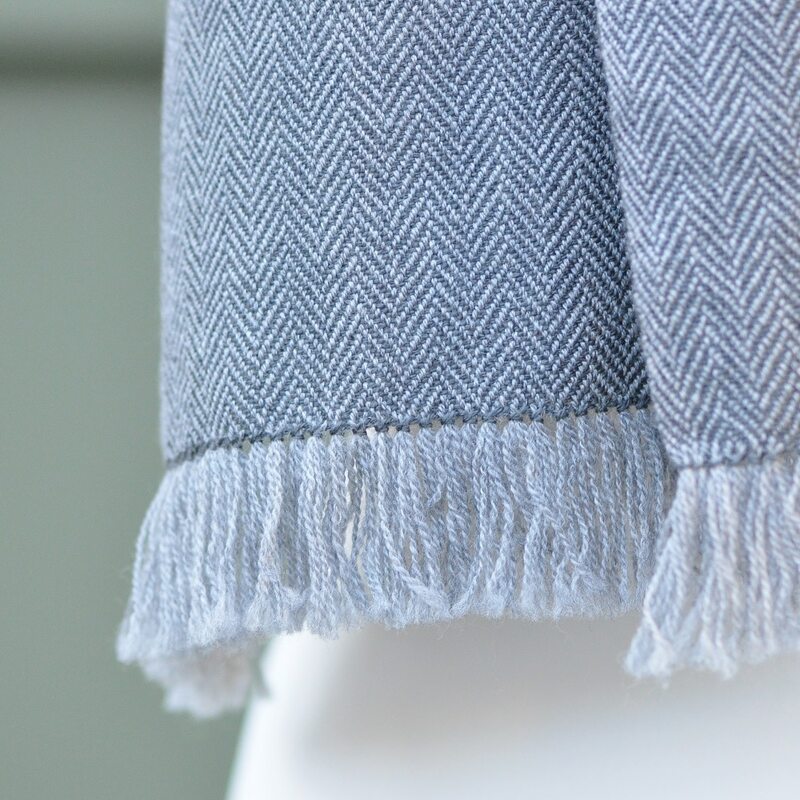 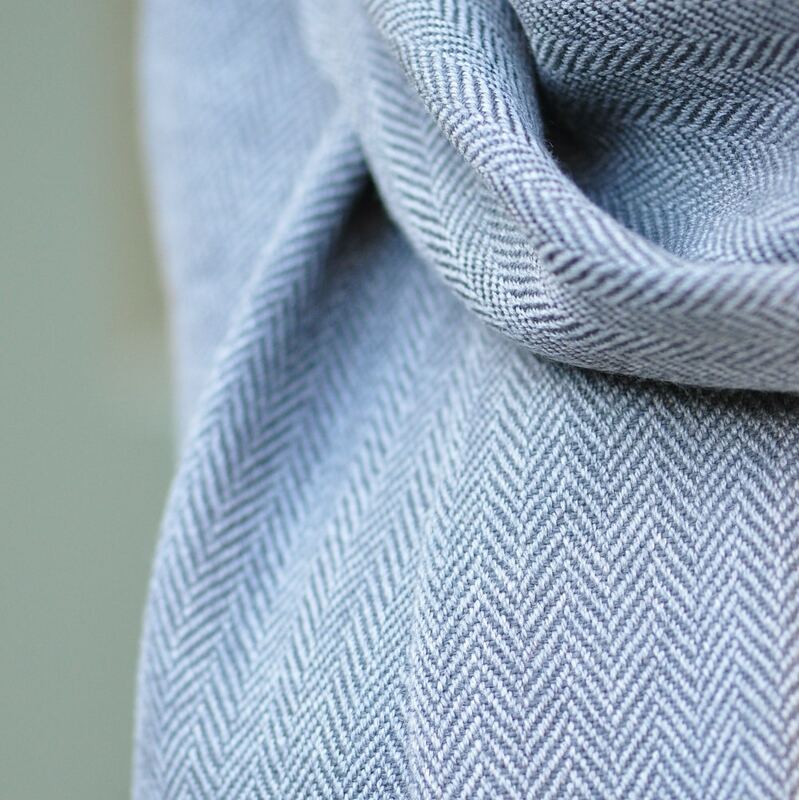 A classic herringbone scarf, woven with fine merino wool in light grey and dark grey. Perfect as an everyday accessory. 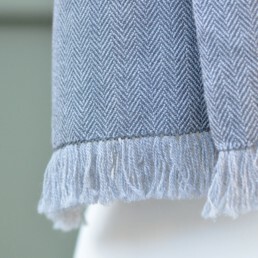 Length 140 cm, width 27 cm plus 3 cm straight hemstitched fringes on each side.